A specially-commissioned image of Robert Burns was the centrepiece of the SEC’s 21st annual London event celebrating Scotland’s national bard. The huge portrait, by local Glasgow artist Michael Corr, became the main talking of the evening event at Banqueting House in the capital last week. Under the only surviving in-situ masterpiece Reubens’ ceiling, guests were treated to a truly Scottish experience. Drinks were served in the atmospheric Undercroft before attendees were piped up to the magnificent Banqueting Hall where the new piece of art was waiting for them. The stunning final piece was used for the event collateral – menus, stage design and invites – and provided a real talking point for guests. SEC CEO, Peter Duthie, gave an overview of the past twelve months before introducing the traditional Burns’ night proceedings. The evening continued with the traditional Toast to the Haggis by Stuart Hendry of Glengoyne Distillery – one of the event partners. 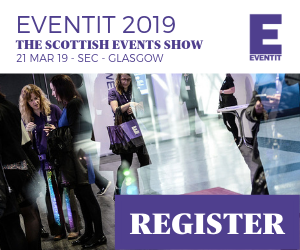 Scottish comedian, Fred MacAulay, delivered the anticipated Toast to the Lassies, but was met with an outstanding Response from the SEC’s Director of Conference Sales, Kathleen Warden. Fuelled with haggis, beef (and whisky), it was time for dancing. But guests were in for a surprise treat, as members of the SEC Choir headed up on stage to perform three songs. Finishing with The Proclaimers’ 500 Miles, the performers led people to the dancefloor where renowned Scottish band, Bahookie, were waiting to kick off the ceilidh. 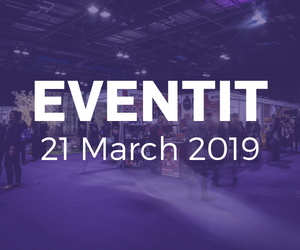 Event partners: Glasgow Convention Bureau, Glengoyne, Event Concept, By Word of Mouth, Payne & Gunter, Visit Scotland, Bahookie Band, Historic Royal Palaces and the artist Michael Corr.